In my experience, years ago IT professionals were not a particularly sociable bunch. I recall once attending a work IT event in London and remarking to a female colleague friend that we should have gone for a degree in Marketing as I’m sure it would have been a lot more fun! But things change – geek is the new cool and luckily in the Magento Community there are a truly diverse set of individuals. Not just programmers, but marketers, salespeople, managers, social media types, devops, entrepreneurs, merchants, etc., etc. 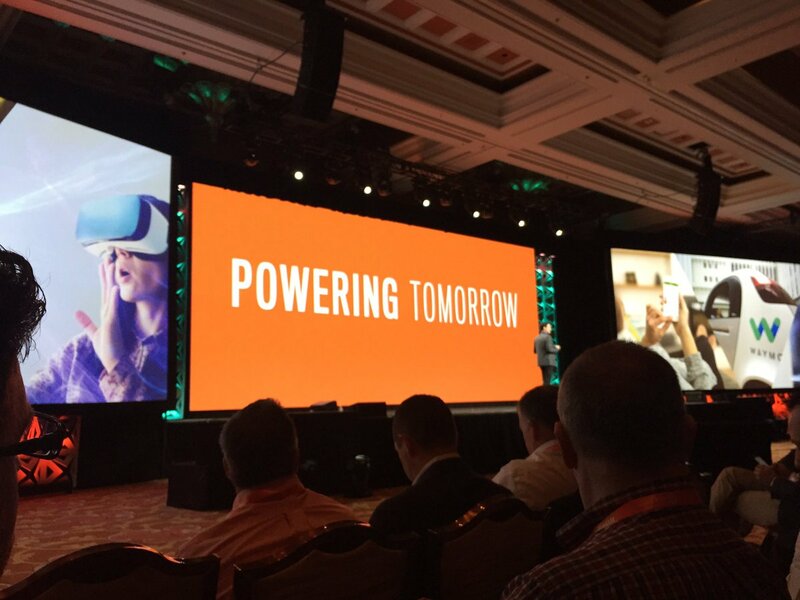 Which is really what makes Magento Imagine a great event. It’s not yet been totally taken over by the corporates, the high rollers or the VC guys, its still got some soul. Maintaining that soul is a challenge but as with any event you find your group, and luckily with 1500+ people attending, there should be enough variety to keep you amused! I attend a lot of events around the world, including IRCE, Shop.org and dev events such as RailsConf. My personal take on what makes Imagine special is that it’s small enough to be intimate, but large enough to be interesting. The money is available, nothing is skimped on, nice lunches, great evening events, and great keynote speakers. You don’t feel harassed – it will be interesting to see if this changes this year, but in previous years even though there is an exhibition hall, it doesn’t feel like you need to avoid all eye contact when walking around! In my mind all of this is invaluable as you get this rather unique opportunity to meet new people, make new associations and connections. Some of them may be direct leads, but in my experience, I’ve found peers who have become friends, people I can turn to when I need a listening ear, or just guys to have a chat with on Twitter or the forums. When you are back in your little office it makes you feel like you belong to something bigger and thats a great feeling. Before you attend any conference you should understand what you want to get out of the event. They’re expensive; its not just an excuse to party and your company will want you to get the most out of it. It’s extremely important to be prepared. In particular, set up meetings in advance and make sure you know the agenda if you have a lot to cram in, otherwise it turns to chaos. We bring along my PA Jane who manages the whole team and their schedule throughout the event, thats how crazy it gets for us (after 6pm she is allowed to party though!!). When we first started doing events we had little understanding on how many business cards we could pick up. Now we schedule time for networking, time to be together as a team, time to switch off, etc. We do set our goals out in advance – what we want to achieve, what people we want to speak to, what we want to understand about the product, the roadmap, etc. This drives our schedule. If you are bringing a team make sure you get some ‘team time’ – I always take the team on a team building exercise. One year we went buggy riding before Imagine and then afterward spent three days in Zion National Park. It was great to just say thanks to the guys and also allow a triple-continent team spend time ‘bonding’. Don’t be afraid to walk up to people – I think of it a little like speed-dating and a lot of people at the conference will do it. But it’s not all about work; use it as an opportunity to learn from others and listen to their stories. You never know who you will meet! And if you find no commonality then just shake hands, swap cards and move on. I’m sure neither side will be offended. Keep the booze under control – Remember it is a work event and anything you do will be noted and remembered and shared – especially with the advent of live streaming. I’d say just be aware of your actions. Attend the events around the edges of the conference – PreImagine is a great one as its a community run event. You often find little parties going on here and there away from the main event, and even a few after-after-parties. Sleep well in advance – It’s a very hectic few days. If you plan to make the absolute most of it, then be prepared to be up at 8am and going to bed at 2am. Find quiet time – Sometimes during the day I just escape to a place in the hotel away from the noise and chill for a bit. Personally I love it after 12am – most people have gone off and you can wander down to the tables and have some fun with the die hard crew. Forget Email – You just need to put on the out of office, have faith in your team and forget about outside life. Trying to juggle is nearly impossible and you will miss out on a valuable experience. Just immerse yourself and trust your colleagues to hold down the fort. Try to speak to as many merchants as possible – Attend the Merchant-to-Merchant sessions and try to connect. The snippets you can share with each other will be invaluable and its my experience that many merchants go through exactly the same experiences, highs and lows, so connect up! Be open to new experiences, new ideas, new ways of thinking – Let go of your day-to-day work for a few days and open up to the possibilities. Yes there is a reality bump at the end but its okay to think outside the box for a few days, it won’t harm you and it may help drive some new thinking. Have some key things you wish to achieve and then search for those people to help you – Whether that be needing help with shipping, payments, marketing, a design agency, etc. Ask people for referrals – It’s all very well and good going around the exhibition hall, but referrals count for a lot. Ask around. There is a big community of people there, many of whom are very familar with the Magento space. If you need a particular capability or want to know the best design agency that will fit your needs, budget then ask. I’m sure you will find people to advise you, or if they can’t,they will point you in the right direction. 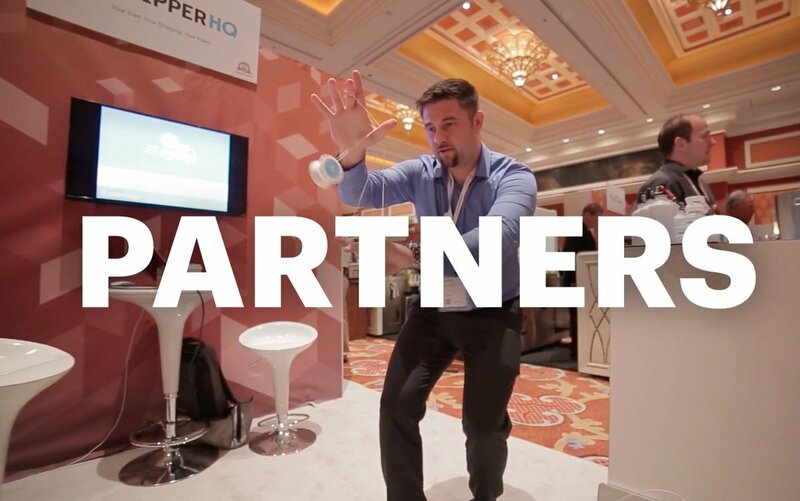 Understand Magento – Its path, where it’s going, what the roadmap is – this helps you in your decisions not just today but 12 months down the line when next year’s Imagine is ramping up. Attending the Keynotes is a great way to get/stay in-the-know. And lastly, if you can’t make it follow @ShipperHQ & @WebShopApps on Twitter. We’ll be keeping you informed with live updates whilst we are there. If you are attending then have fun, enjoy this time. You are in Vegas – there is ‘free’ food and drink, you are with people that are like you. You can find our team at Booth 307, and we’ll be available for meetings throughout the event. If you have any questions around shipping you should set aside some time to chat with us. You can set up a meeting with Karen and the team to learn more about how we can work together to make shipping simple.